One GREY DOG . . .
Zuni fetish bear by Gibbs Othole. Cochiti owl fetish of found stone by Salvador Romero. Historic Polacca polychrome bowl, Hopi. 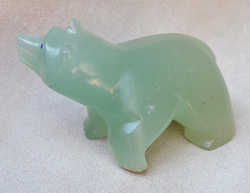 Inuit bear sculpture by Kip Arlooktoo. Vintage Zuni inlay Rainbow Man pin. Ye'i sculpture by Sheldon Harvey, Santa Fe Indian Market winner. Traditional straw applique cross by Charlie Sanchez. 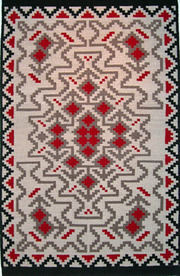 Authentic Navajo rug from Crystal area. 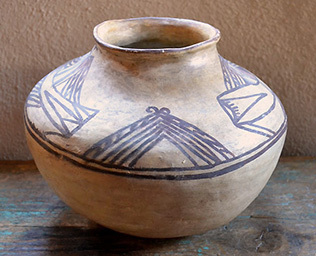 Hopi Bee katsina by Randy Brokeshoulder. Zuni Fetishes & Carvings by Kent McManis.